Grew Up… in Rome and Britain. Damien is being raised by the US British Ambassador, Robert Thorne, and his wife, Katherine Thorne. Unbeknownst to everyone except Robert, Damien is not their true son, and was adopted from the hospital when their own child was pronounced stillborn. Robert was worried about how the news would affect his wife, and agreed when the hospital chaplain suggested that he adopt an orphan whose mother had died in childbirth the same night. Living… in a stately manor house in London. Damien’s parents are wealthy, well adjusted, and determined to provide him with everything he needs. None of his parents’ warmth and affection seems to mean anything to the cold and dismissive Damien. He’s becoming so difficult to control that he’s beginning to scare his mother. Profession… child. Damien isn’t even old enough to attend school, and spends his days with his mother and nanny wandering the halls of the Thorne’s impressive home. Tragedy seems drawn to Damien, who reacts to the deaths around him with indifference. His parents are beginning to suspect that there’s something terribly the matter with their son. Interests… his new nanny, Mrs. Baylock, and his tricycle. Damien almost never expresses excitement and doesn’t express interest in the things that seem to interest most children. Even more disconcerting, he seems to have a morbid fixation with death, and a powerful aversion to churches. Challenge… bringing darkness to the earth and crowning Satan as the ruler of Hell, Heaven, and Earth. Damien’s cruel and distant behavior isn’t just some phase. He’s the Antichrist – the fabled biblical figure born of Satan and a jackal that’s destined to bring about the end times. 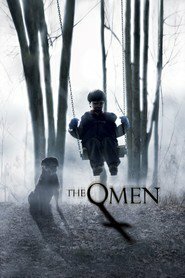 He’ll grow to be powerful in his own right, but at the tender age of five, he relies on a secret conspiracy of Satanists to protect him from the legion of do-gooders that will kill him if they discover his true identity. Personality… cold, detached, and sadistic. Outside of churches, Damien is impossible to faze. He watched his nanny hang herself on his fifth birthday with nothing more than a quiet smirk, and takes a quiet pride in the fear he inspires in all the animals he meets. 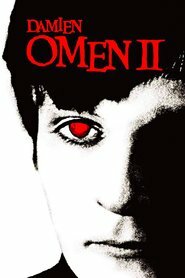 Unburdened by conscience, Damien lives up to his father’s legacy, and in time will make a fine Prince of Darkness. Damien Thorn's popularity ranking on CharacTour is #3306 out of 5,000+ characters. See our top-ranked characters and read their profiles.